Star of the South has negotiated special discounted hotel rates and additional perks for attendees and exhibitors through the official housing provider, EventSphere. Discounted room rates have been secured at several area hotels. 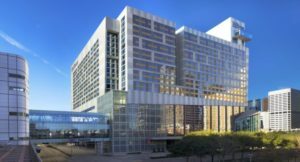 The Hilton Americas Houston Hotel will remain the headquarter hotel for the 2018 Star of the South Dental Meeting. Room blocks are also available at the Holiday Inn Express, the Hyatt Regency Houston, the Four Seasons Houston and the Marriott Marquis. Save on your United Airlines’ fare when you book your flight through a travel professional, online at www.united.com or call directly at (800) 468-7022. Discount codes and information coming soon. The headquarter hotel is connected to the convention center by a skywalk; therefore, shuttle transportation is neither required nor available. If you are staying at a hotel other than the Hilton-Americas, you may obtain Metro Rail schedules or free Greenlink Bus transportation information by calling (713) 635-4000 or visiting the METRO website at www.ridemetro.org.